On 22th of April 2019 in Kiev Mall Dream Town will be closed Aquapark Dream Island and on its place open new large sports hub of 22 000 square meters. The new sports hub will consist of Sportlife Fitness Club (6000 square meters), Intersport Discount Swiss hypermarket (3500 square meters), the first Sportmaster Discount in Ukraine as well as stores of leading international sports brands in outlet format. 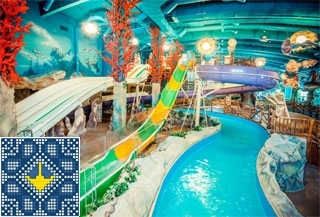 After closing of Aquapark Dream Island the only alternative for a holiday with a child on the water in any season will be Aquapark Terminal which is located in Brovary - 30 km from the center of Kiev. Since 2011 the aquapark is the place of joy and happiness for children and adults especially in winter time with various saunas. Water slides are the most attractive water park attraction for children. The owners of the aquapark just changed the family concept of Mall Dream Town to more individualistic adult concept that is expanding in the world more and more concentrate on people who live alone for themselves. The flip side of this trend deprives children of a place where they can truly enjoy playing games on the water with friends and their parents.